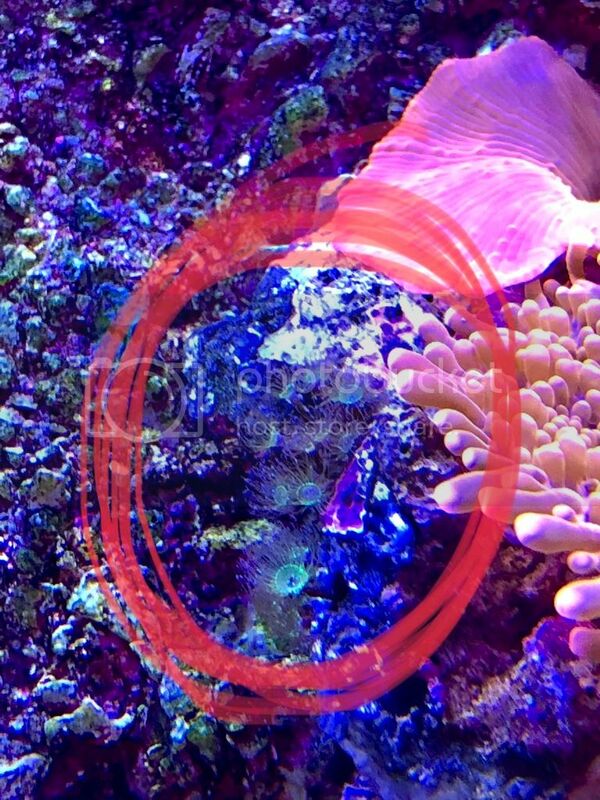 Thread: Very scary paranormal coral??????? Hey guys and ghouls! Just cleaning my tank per usual, minding my own business... and then I noticed THESE spooky ooky polyps. What the heck are they? They give me bad vibes! Are they haunted? Please pray for my tank and let me know if you can identify these demon spawns. Thanks! I think they are colonial hydroids. https://www.youtube.com/watch?v=jcjkW2z036w, I had them and was told they can be a pain. I got rid of them. Yes!!! that's exactly how they look but super tiny and thankfully just in one spot. What kind of sorcery was needed to get rid of them? Take rock out of water and frag off the piece of rock they are attached to and then throw it as far as you can. Yeah they are colonial hydroids and you should get them out asap ...sushi you really don't want them!!! +1. Very hard to get rid of. Had some on my old tank, never went away. Use some fenbendazole to treat the whole tank. Kills hydroids and any type of polyps like blue clove or GSP. I used it to wipe out GSP in my tank.